Raynaud’s Disease, also known as Raynaud’s Phenomenon and Raynaud’s Syndrome, is a fairly common disorder said to affect 3 – 20% of the population with symptoms including digital vasospasm of the extremities, capillary stagnation (resulting in discolouration), and finally reactive hyperaemia. These symptoms are commonly triggered by cold challenge or emotional stress. Endothelial dysfunction plays an important role in the pathogenesis of many vascular diseases, including Raynaud’s Disease and can be easily assessed using laser Doppler techniques in combination with a cold challenge. Cold is normally applied by submerging the hand or foot in cold water. The hand or foot is normally kept dry with a polythene glove or bag and the patient instructed to keep the hand open and moving slowly to get the full impact of the stimulus. 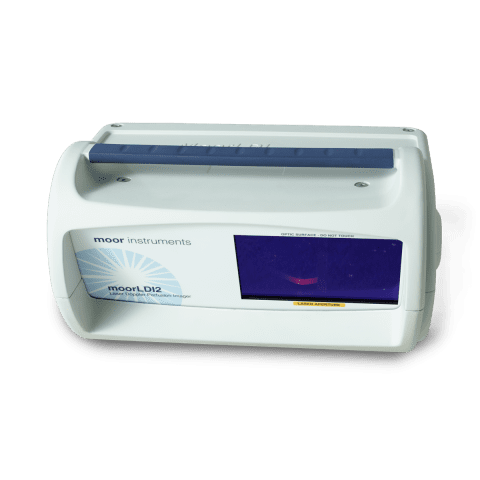 Note: The same tests can also be applied to assess cold sensitivity in patients suffering from vibration white finger (or hand-arm vibration syndrome (HAVS)), a secondary form of Raynaud’s. Cold challenge of hand, showing sustained vasoconstriction of two digits and recovery to baseline at 15 minutes post exposure. The advantage of moorVMS-LDF monitoring is that probes can remain in position, at any site, during the cold challenge so that immediate responses can be recorded (excluding the movement artefact caused by insertion of the hand into and out of gloves and water). 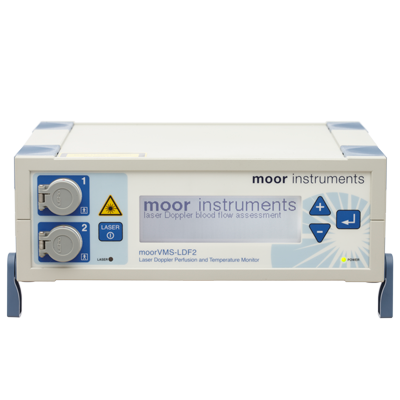 Probes for this type of test include the standard VP1T skin probe with temperature measurement or the multi-fibre VPIT/7 probe for reduced coefficient of variance. 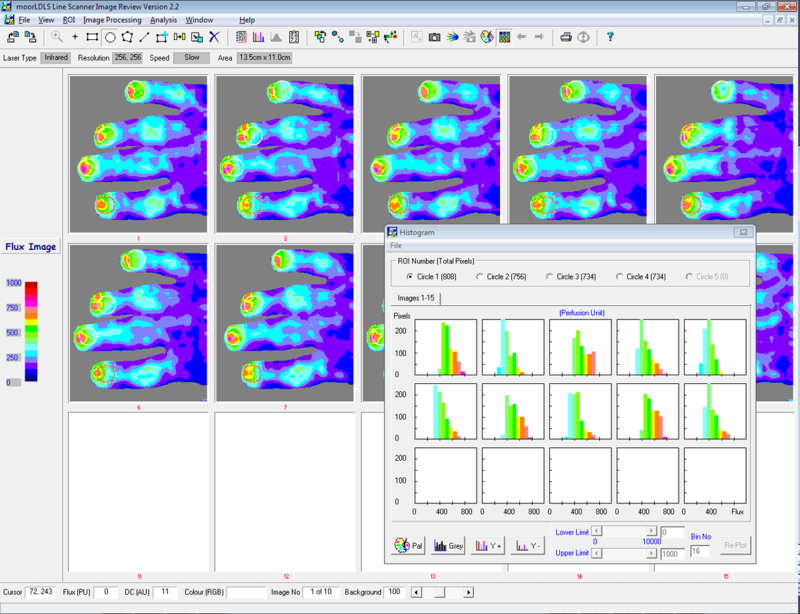 The advantage of laser Doppler imaging is that all digits and the dorsum can be measured simultaneously, particularly with the moorLDI2-IR imager. When imaging is required during cooling, air cooling is suggested, if a source of cold air is available. Raynaud's phenomenon and thermal entrainment: an objective test. Abnormal microvascular response is localized to the digits in patients with systemic sclerosis. 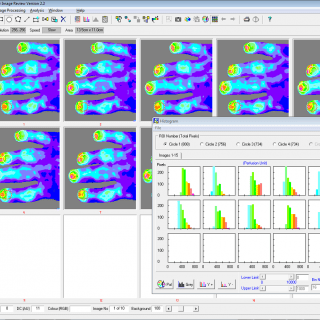 Noninvasive Imaging Techniques in the Assessment of Scleroderma Spectrum Disorders.